Natural disasters often come to my attention even though I choose not to follow mainstream media. Often I feel upcoming earthquakes and such in my bones before they happen, as I’m sure many of You do too. When I become aware of mishaps such as the gulf oil spill my first reaction is to send Reiki. Many people choose to donate money, write letters to politicians, or volunteer to offer physical assistance. My preferred line of aid is to send distant Reiki which makes a difference to those living near the area of disaster and to the Earth itself. I was sending Reiki to the the Gulf Oil Spill area on my way to sacred dance last night. During my dance journey I went to the spill area. I was flying in the air circling over the spill along with the Reiki. I was not alone, there was a multitude of light beings surrounding the area in the Gulf with Light. Perhaps some of You were sending Reiki too. My sacred journey took me out so I could see the whole Earth. I was shown that the Earth is ok. There are flowers blooming, rivers flowing, and trees growing. I was reminded that I am a healer on my dancing Reiki filled journey. I help people by seeing them as whole not by seeing them as hurt. By focusing on the damage I help the damage become greater. I send love and light and Reiki to the challenged area and to the whole body. Just as I see people I give Reiki to as whole and well, it serves to see the Earth as whole and well. Just as humans experience times of shifting energies so does the Earth. Just as I trust the body has the full capability to heal when supported, I trust the Earth has the ability to heal. The earth is supported in her changes right now. I have seen the energy coming to the Earth from throughout the universe and galaxy giving the Earth love and support. How can You help the Earth or areas of disaster? 1. You can send Reiki to the area, including people, plants, animals, minerals, and elements. If You know the distant symbol You can use that. If you don’t you can hold a picture a real one or just one in your mind and allow Reiki to flow to the area. For example, for the oil spill You can see the oil being contained, the water being purified, the animals being protected and cleansed. The Reiki can bless the beings, animals and humans and plants, that died during the disaster. You can send Reiki blessings to the families affected. You can just send Reiki and watch in your mind’s eye where it goes and what it does. 2.You can also send Reiki to the whole Earth. Just as in treating a person, bolstering the whole body, helps heal any areas of imbalance. So it goes with the Earth. 3. You can Reiki yourself. Don’t underestimate Your part of being well-balanced and feeling good. It really does have an effect on the world around You. It can be hard knowing that others are suffering elsewhere on the Earth. Reiki can help release any feelings You experience and help You maintain your well-being. 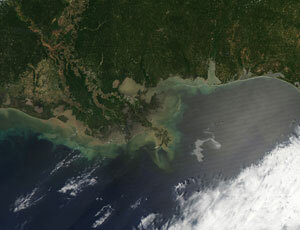 Sending Reiki to the Earth and areas of upheaval such as the Gulf Oil Spill is a great value. Just because no one sees You sending Reiki and donating your time doesn’t mean You haven’t done your part. So please do send Reiki, it really does make a difference. Next postWarning! Reiki May Improve Your Relationships.